This year marks the 10th anniversary of cryptocurrency, a type of monetary exchange that takes place electronically without the intervention of a bank. No one could have predicted when Bitcoin arrived on the scene in 2009 the success it would enjoy and the numerous other types of cryptocurrency that would follow. If you use or plan to invest in this alternate type of currency or advise clients who do, it’s important to understand that there may be cryptocurrency tax implications. This is especially crucial as we enter into the 2019 tax season. You should also fully understand the risks. We outline five of the most common below. Because the prices of cryptocurrency can fluctuate significantly, you need to determine how this could impact your personal or business finances. If you work with clients who purchase cryptocurrency, you should be prepared to advise them as to when they should hold onto it, or whether now is a good time to convert it or cash it out. Your clients may not know that some types of cryptocurrency are more challenging to turn into a spendable asset than others. The reason for this is that it’s not possible to transform these types of cryptocurrency into fiat money. It will be necessary to first convert certain types of cryptocurrency into another type and then proceed to change it over to fiat. The illiquidity of some types of cryptocurrency will impact what your client can personally invest in or accept in his or her online store. It’s essential that you let your clients know that investing too heavily in cryptocurrency that is difficult to liquify can be a huge financial risk. Your clients have two options when it comes to cryptocurrency storage. These are a hardware wallet or a software wallet, both of which have unique risks. With the first type, cryptocurrency owners store it using a specialized device they can plug into a USB port or hard drive of a computer. The risk in this type of storage is that the private companies manufacturing them are not subject to federal regulations. It’s also possible that someone could steal or damage your client’s hardware wallet. A software wallet is an application that stores cryptocurrency on the hard drive of a computer. The potential risks here include damage caused by an electrical outage, flooding, or fire that could wipe out all computer files. Your clients may want to consider using soft wallet applications on two different computer hard drives for this reason. It’s common to use a cryptocurrency exchange when using it to pay for goods or services or when converting or trading it. Like hardware wallet manufacturers, cryptocurrency exchanges don’t operate under any type of regulations. This adds some element of risk to redirecting the funds to someone else. Be sure your clients know not to use a cryptocurrency exchange for storage but only to complete their desired tasks. Transaction fees for cryptocurrency can change dramatically from one day to the next. 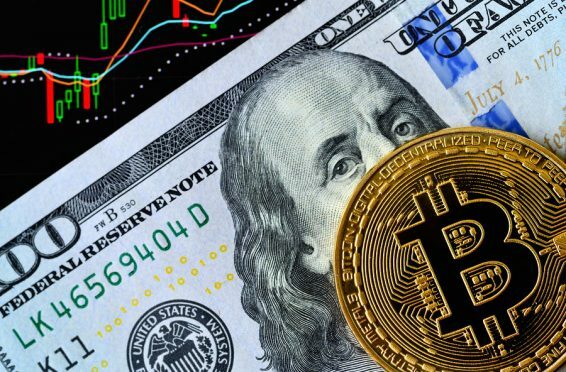 Due to the lack of regulation, each type of cryptocurrency can change fees as frequently and by as much of a percentage as the owner would like. Those who plan to accept cryptocurrency should create a method of monitoring transaction fees to keep their payment processing fees as low as possible. If you’re affected by cryptocurrency tax implications or you just need someone to sit down and discuss the risks with you, please contact Alternative Tax Solutions for an immediate appointment. We help you so you can deliver the best service to your clients.